Today I am extremely excited to welcome Kester Nucum to the #MGBookVillage. He’s here to share a bit about himself with the MG community, and also to celebrate his two-year blogoversary (more about the blog below!). Kester is an extraordinarily — and I mean EXTRAORDINARILY — impressive young person. He’s a talented and devoted student, and yet, on top of all his AP classes and extracurricular activities, he somehow finds the time to devour Middle Grade and Young Adult literature AND run an active — and downright awesome — blog about it all. I encourage you to explore his archives, especially his author interviews and absolutely wonderful LILbooKtalks, which are “online discussion panels in which two (or more) authors talk about a theme that is related to both of their books” — a format which Kester himself created. Kester and I connected last year, when he reached out to me about his growing interest in, and appreciation for, MG books (until then, he’d been primarily interested in YA). Since then, we’ve had a great ongoing conversation, and have swapped plenty of titles (he is responsible for a sizable portion of my TBR pile!). Kester’s interest in MG lit recently culminated in a paper he wrote for his AP Language & Composition class, titled “The Importance of Middle Grade Literature for Adult Readers.” Kester’s passion, involvement, and relentless energy is breathtaking — and all of this when he’s just on the cusp of officially becoming an “adult” himself! I’m so very grateful to have Kester as part my book life — he has enriched it in many ways. Getting a chance to sit down with Kester and talk not just about books, but about his background and his hopes and plans for the future, was a real treat. Check out the interview below, and find additional links to his research paper and the rest of his site below! First off, thank you again, Kester, for stopping by the Village to chat! It’s an honor to have you here. Now, on to the questions. Here’s something I’ve been eager to know: Have you always been an avid reader? Where do you think your love of books and reading came from? I was a very avid reader in elementary school, but because I felt “forced” to read at a middle school or high school level, I became less fond of books when I entered 6th grade. I still read, but not as much as before. Though I did enjoy classics such as To Kill a Mockingbird, 1984, and And Then There Were None, I felt restricted to novels that were written either with difficult and archaic language or before the early 20th century. When I discovered the Infinity Ring series in 8th grade, my love for reading rekindled. A newfound confidence built up inside me as I realized I could finish a book in just a few days. As I entered my freshman year of high school, my school librarian pushed me to read more by providing me many amazing recommendations and discussing books and life to me. Eventually I ended up in the YA universe and later the MG community, and LILbooKlovers came into fruition. Why did you start your site? How did you go about contacting authors? After I discovered the existence of book blogs, I had a strong desire to start one myself. I was very obsessed with books that I wanted to share my love with the whole world. After I presented my idea to one of my classmates, we both decided to start one up, and LILbooKlovers was born! During the spring semester of my freshman year, I was originally slated to go to the first ever Southeastern Young Adult Book Festival (which all readers and authors must attend at least once) as a field trip, but my school cancelled our visit last minute. It was very heartbreaking, especially since I could not get my books signed. To make up for it, I decided to email the authors of those books for signed bookplates to paste in my copies. From there, I began to amass a giant collection of book swag by emailing authors. My first ever author connections actually started from that, including the first ever writer I interviewed, Jennifer DiGiovanni. After the blog went up, I connected with a few indie authors through Goodreads. But Twitter has helped me meet so many novelists online, and I’ve become introduced to so many authors—from debuts to New York Times bestsellers—ever since. You’ve recently developed a strong interest in Middle Grade literature. Can you tell us a bit about the “reading” journey that led you to here? To be honest, before I became an avid bibliophile, I had always dissed Middle Grade as “light and fluffy.” I gladly grew out of this misconception as I learned more about the wonders of this amazing literary culture. The novel that first introduced me to Middle Grade was Just Like Me by Nancy J. Cavanaugh. I started off with very low expectations for Nancy’s novel, but the storyline connected with me in such a personal way that I finished the book with so many feels. Although I did not read any more MG for a year (I pretty much experimented with various genres and age groups at this time), in the fall of my sophomore year, I received signed copies of Prisoner B-3087 by Alan Gratz and Eden’s Wish by M. Tara Crowl from my school librarian and the author, respectively. I fell in love with both novels, and I began to build up even more respect for Middle Grade. The Southeastern Young Adult Book Festival in March 2017 introduced me to many writers in the #kidlit community, many who are now some of my biggest supporters, including Monika Schröder, Andrew Maraniss, Jenn Bishop, Kym Brunner, and Kathryn Ormsbee. It wasn’t until the Fall of 2017—in which I met the wonderful Jarrett Lerner on Twitter along with Kimberly Brubaker Bradley and Linda Williams Jackson at the Southern Festival of Books—when I decided to take on a more active role in the MG community. I was astonished at how much power The War That I Finally Won and Midnight without a Moon possessed, which inspired me to delve deeper into Middle Grade. My love for MG has become so great that I have an entire shelf devoted solely to the literary culture and that I wrote an entire 22-page essay on why adults should read Middle Grade. Okay, I’m going to ask that annoying question that ALL adults seem to ask teenagers, and that always got me groaning a bit when I got asked as a teen… What are your plans for the future? Do you have any thoughts as to what you might want to do? Will it involve books and reading? Honestly, I actually like answering this question! With graduation less than a year away, college is about to become an actual reality for me. After I graduate from high school, I plan on pursuing computer engineering as my major with a minor in music and possibly another one in marketing. I intend on attending a university that will give me the best deal, which is the best engineering program for the best price. I want to graduate without any debt! I will also join my college’s orchestra and choir, and I hope to continue blogging and reading as much as I can. After college, I don’t imagine myself ever leaving my home state of Tennessee. I would like to enter the workforce as a computer engineer somewhere around Nashville, and I wish to be a professional musician as a part-time job. (My dream is to play for the Nashville Symphony, or any symphony orchestra.) My future endeavors may include marketing, entrepreneurship, and even writing! Wherever God wants to take me, I will follow. What other activities do you do when you are not reading or blogging? Music has been and will always be a huge part of my life. I sing as well as play the violin and the piano, though I can’t do all three at once. (I am trying to learn the guitar and ukulele at the moment.) I am a member of multiple ensembles, including my church’s contemporary choir and the Murray State University Symphony Orchestra. During my junior year, I sang with the Henry County High School Madrigals, my high school’s internationally acclaimed choir. I am in multiple clubs at school, including DECA (Distributive Education Clubs of America), FBLA (Future Business Leaders of America), NHS (National Honors Society), and Leo Club. I serve as my high school’s DECA President and FBLA Vice President. I am the most active in DECA, which focuses mainly on marketing, and one thing that I love about being a part of this organization is that the lessons that I am learning can be applied virtually anywhere, especially blogging. Thank you again for stopping by and sharing so much about yourself, Kester. I, along with the rest of the #MGBookVillage crew, wish you all the best in future endeavors. We can’t wait to follow along on your journey and see where you go! Standing at a mighty 5′ 3″, Kester Nucum may be small, but he has a big personality. He is the founder and head blogger at LILbooKlovers, a book blog devoted mainly to MG and YA literature. Kester is currently enrolled as a senior at Henry County High School, where he serves as the President of his local DECA chapter and the Vice President of his county’s FBLA chapter. He also sings and plays the violin and piano, though not all three at the same time. He has played for the Murray State University Symphony Orchestra for five years, and he sang with the internationally acclaimed HCHS Madrigals in his junior year. He loves to connect with readers and authors online, and you can find him on social media at @kesternucum or @lilbooklovers. Founded in May of 2016, LILbooKlovers is a Young Adult and Middle Grade book blog headed and designed by Kester Nucum. Through the blog, Kester aims to “Unite Book Lovers, Both Big and Li’l” from all around world. He interviews and works with authors on a frequent basis, including New York Times and USA Today bestsellers, Newbery Honor awardees, debut novelists, and indie authors. 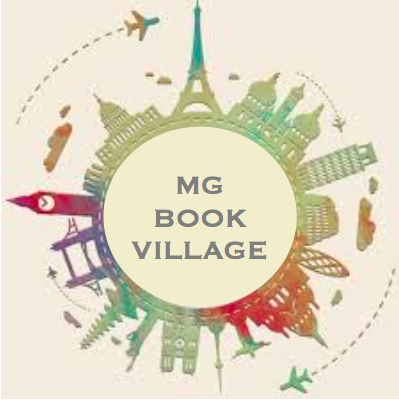 LILbooKlovers takes on active roles in both the MG and YA community, and it is the home of the LILbooKtalk, a monthly online author panel where two authors discuss a single topic. Up to date, the blog has received over 18,000 views and nearly 9,700 visitors with an average of 980 views per month for the 2017 calendar year. Kester loves to connect with authors and readers online through email, the blog, Twitter, Facebook, and Instagram. Next ›Takedowns and RPGs: Middle School Girl Athletes Rock And We’ve Got The Texts To Prove it!